Hi, my name is Andy Gale. I am a business attorney here in Orange County, California and I recently had a conversation with a client. They weren’t really quite clear on what exactly California corporate lawyers do or more importantly the kinds of people that corporate lawyers deal with. 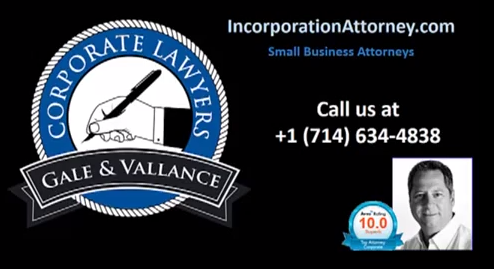 So I thought what I would do is reach out to a number of my clients and I would start a series of client profiles, so that potential clients could actually see the kinds of people that we, California corporate lawyers at Gale and Vallance, deal with on a day to day basis. So, I am going to create this series. Today is the first one and I hope that you enjoy it. If you have any comments about the series or any questions that you think I should be asking my clients so that you get a better feel for what they do and perhaps what corporate lawyers do, please let me know in the comments below.